We’re excited to announce the latest release of PreForm 1.9.1! 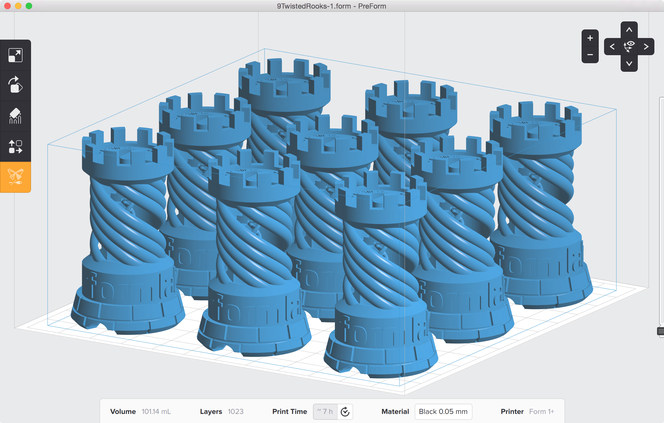 In this update, we’ve adjusted material files to improve prints across the board, giving your printer increased reliability. We have also addressed some reported issues with the 1.9.1 release that some of our users were experiencing. Read about our Release Notes for more information on updates to the software. PreForm 1.9.1 will be the last release that supports Windows XP, meaning that no further support will be offered for machines running the Windows XP operating system. Any features you would like to see? Have a great idea for our next release of PreForm? Head over to our Forum to share your ideas and connect with the rest of our community!